Considering the present estimation, it cannot be denied that the urban population of our country has observed an immense change and advancement in their lifestyle. And with the PM Awas Yojana, it is yet to receive another phenomenal growth in forthcoming years. According to reports, there will be an increase of 400 million people from current level and the biggest challenge will be offering proper residential areas, sanitation, a safe environment and development for the city dwellers. Presently the development within a city is handled by the real estate developers and those individuals decide which areas need development. The price of real estate markets have skyrocketed in the present scenario and that leaves a common man with only dreams of buying plots or houses. And for addressing these issues, the PM Awas Yojana has been developed for ensuring that the individuals residing in urban areas are provided with a proper house of their own. The aim of this scheme is providing shelter to those who are homeless and the primary focus shall be towards those who fall under the category of LIG, EWS and MIG. The Awas Yojana has been formatted in different segments for the different time periods. And different parts of the country shall be included in the Awas Yojana at different segments. There has been announcement of subsidy for those individuals who are among the schedule cast, tribe or other economically backward classes. And the beneficiaries of this scheme shall have a subsidy amount of 1 lakh to 2.3 Lakh. During the allotment of housing, priority shall be given to handicapped individuals and senior citizens. Endeavour shall be on providing rooms for the handicapped and senior citizens at ground floors, so that it becomes really easy for them in future. For duration of twenty years, there will be a subsidy of interest within housing loan and it will be offered to all the beneficiaries. There will be the inclusion of durable eco-friendly technologies to make the houses stable and long lasting. To be eligible in receiving this scheme, the individual or beneficiary should not own any “pucca” house. This scheme is going to support the housing construction up to some carpet area along with a proper civic infrastructure. The houses developed in this scheme shall be designed with the proper requirements for safety to deal with earthquakes, cyclone, flood, landslides etc. For registration of this scheme, it is important to include the name of spouse or mother. The newly allotted house shall be either in the name of the male family head or it could include both the names of male and female family heads. The Central Government of India will transfer Rs. 1.30 Lakh crore within the next three years under this scheme. The funds will be transferred directly to the bank account of the beneficiaries. The Indian Government introduced this scheme to help the citizens of India specially the homeless citizens. Thus, 60 percent of the total houses will be built for the homeless citizens and the citizens who belong to the SC and ST communities. The Indian government has already selected and validated the beneficiaries under this scheme. 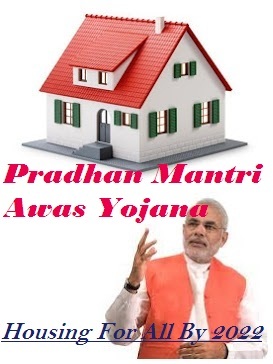 The Indian government has selected 2508 cities across 26 states under Pradhan Mantri Awas Yojana. Pradhan Mantri Awas Yojana will be operating on Direct Bank Transfer so that the transparency of the scheme is maintained. The funds will be transferred directly to the bank account of the beneficiaries in installments over a period of three years. The Indian government will start transferring the money from September. For checking the diversion of funds and transparency, the government will do geo-tagging of all the homes under PM Awas Yojana. The government has provided training to 30,000 masons for constructing homes. The government has also finalized the designs for each geography. One of the most ambitious projects undertaken by the current Union Government is – Housing for All by 2022. The scheme started back in 2015 but on New Year’s Eve, 2016, PM Modi made some interesting announcements and brought in some important additions to the PMAY. Newly identified target groups with new sanctioned loan amount was the basic announcement. What was really important about the announcement was the clarification of identification of new target groups and coming up with loan options for them. Previously, the scheme was designed for EWS (Economically Weaker Sections), LIG (Low Income Group) and Women. Now, the government has included MIG or Middle Income Group. This declaration of PM Modi gave relief to many people and it is expected that more and more people will be opting for home loans under this grand scheme. Let us take a comparative look at the previous scheme and the new announcement and find out how the new parameters will impact people. As we see from the table above, the new MIG groups which have been identified under the PMAY are expected to increase the participation of more and more potential home buyers. This move was possibly taken by the government to give a major push to the scheme. The MIG groups identified under the scheme cover neo-MIG in rural sectors of India. This will allow penetration of the scheme in the rural areas where many people still do not have a house of their own. I have purchase a house in Oct 2014 on loan through LICHFL. Am i eligible for PMAY ?? Hi , I am planning for buy a flat in a Apartment , my income is 5 lakhs PA. Am I eligible for PMAY scheme. I bought a house in Jul 2012, Please include us in this PMAY, because we also had a dream to own house when there is no such schemes from government with highest rate of interest – 10.50%.